Give your laundry a refreshing scent with this Gain Apple Mango Tango Detergent with FreshLock. 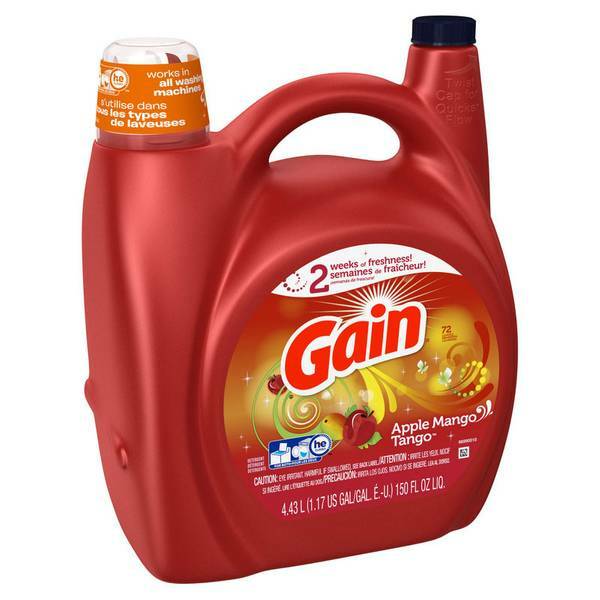 This 150 fl oz Gain Liquid Detergent will keep your clothes smelling delightful with its combination of apple, mango and exotic tropical fruit aromas. The 72 loads liquid clothes detergent contains musky and fruity scents that will keep your clothes smelling sweet for up to two weeks, making it a useful choice for any home.